Following her previous outing, Rosie Huntington-Whiteley and more hit the pink carpet for the Patrick Ta Beauty Collection launch party at Goya Studios in LA last night(April 4th). 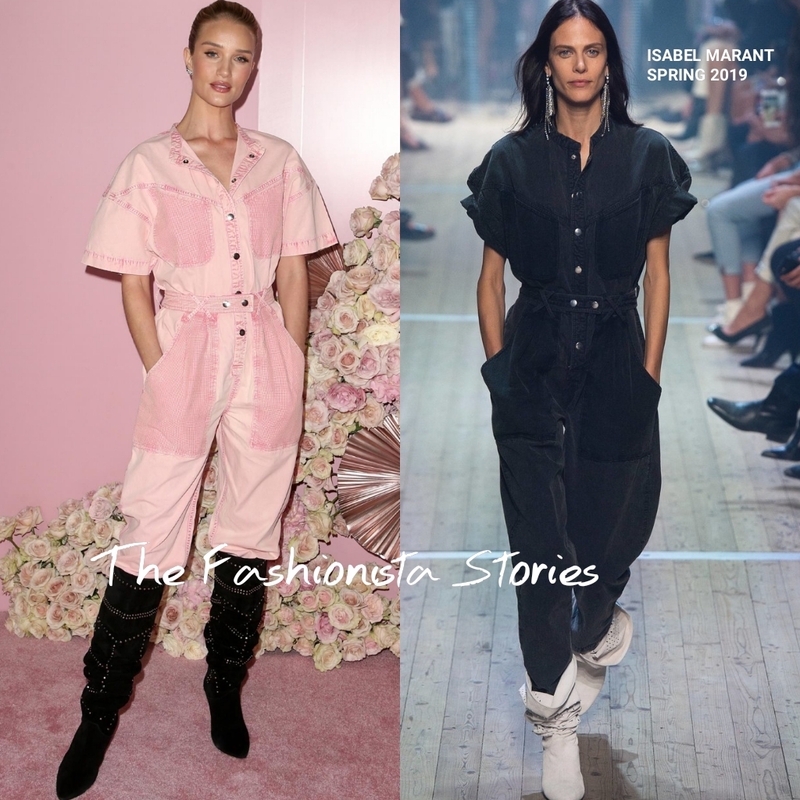 Rosie Huntington-Whiteley wore the ISABEL MARANT SPRING 2019 'Tundra' pink patchpocket jumpsuit, which she styled with black suede studded boots. Love this jumpsuit and I think Rosie made it work with the black boots. Olivia Munn showed some leg wearing a pink tweed & fringe shorts suit from the SCHIAPARELLI SPRING 2018 COUTURE collection. The jacket was belted at the waist on the runway and I wish she kept it that way. However the omission of the belt doesn't hurt her look but it is missed. Also the hair should have been completely off-the-shoulders. Alessandra Ambrosio wore a JONATHAN SIMKHAI FALL 2018 red satin & lace panel jumpsuit, which we saw on Halle Bailey in November 2018. However is suits Alessandra more.